The Importance of Learning Your Risk for Prostate Cancer Prostate cancer is the second most common cancer among men and the second-leading cause of cancer-related death. Approximately 1 in 7 men will be diagnosed in their lifetime. Fortunately, prostate cancer is extremely treatable if detected early. Prostate cancer often causes no symptoms in its early stages. By the time symptoms begin, the cancer may have spread outside the prostate, which makes it harder to treat. Learn more about the symptoms of prostate cancer. While any man can get prostate cancer, some men are at an increased risk. Age, race and family history are three of the biggest contributors to your risk for prostate cancer. Age Prostate cancer risk increases as you age. Men over age 65 account from nearly two-thirds of all prostate cancer diagnoses. Race African American men are at the highest risk of developing prostate cancer. In fact, they are twice as likely to die from prostate cancer compared to white men. If a man has several family members diagnosed with the disease, he has a much higher risk of developing it himself. This November, Tanner Health System and West Georgia Urology are partnering to provide free prostate cancer screenings to men age 50 and older. These free screenings provide an invaluable opportunity to detect prostate cancer early. 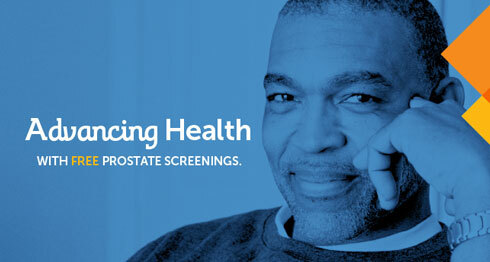 Men younger than 50 with a family history of prostate cancer also should be screened. Registration is required; some criteria apply. Call the number above now to schedule your screening. to Schedule a Free Prostate Screening. Geography: Surprisingly, where you live can increase your risk of prostate cancer. Men in North America, northwestern Europe, Australia and on Caribbean islands are more likely to develop prostate cancer than other parts of the world. Genes: Men in families with inherited gene changes, such as BRCA1, BRCA2 or Lynch syndrome may be at a slightly increased risk for several types of cancer, including prostate. Diet: No conclusive research has linked diet to prostate cancer, but studies have found that men with diets high in red meat and dairy and low in fruits and vegetables appear to have a slightly higher risk of developing prostate cancer. Obesity: Obesity has not been linked directly to a higher risk of getting prostate chance. However, obese men are more likely to develop aggressive forms of prostate cancer.